My research career began with larval fish ecology and biological oceanography before shifting towards the ecology of pelagic fish and the effects of fisheries during my PhD at the University of Sydney. 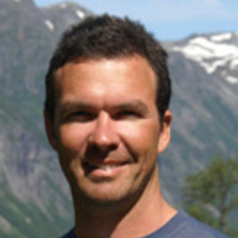 During a post-doc at SINTEF Fisheries and Aquaculture, Norway, I began to research the ecological effects of aquaculture. My research interests have now converged to a common theme: basic ecological research, to ensure fishing, aquaculture and other anthropogenic practices are developed and conducted sustainably. While this theme has an applied angle, it draws strongly on fundamental principles of ecological theory. While at SINTEF, I initiated and lead three projects: CoastACE, SubFish and Prevent Escape. CoastACE (2006-2008) was a 3-year project involving Norway-wide sampling to determine how the 1200 coastal salmon farms affect the distribution, biology and physiology of closely associated wild fish. SubFish (2007-2010) aims to determine the behavioural and physiological tolerances of salmon and Atlantic cod to submergence in sea-cages, with a view to using submergence to reduce specific environmental effects of fish farming. Finally, I established a European working group (see: www.sintef.no/preventescape) and built a successful European Union 7th Research Framework proposal called ‘Prevent Escape’ to undertake research to document and prevent escapes of eggs, juveniles and adult fish from sea-based aquaculture and understand the environmental impacts of escapees. In addition to several ongoing European projects, I have recently participated in projects in Australia with Dr Mike Letnic and Dr Jonno Webb regarding the effects of invading cane toads on crocodiles and freshwater ecosystems in the Northern Territory and Dr Ben Walther (ANU) on discerning aspects of the ecology of barramundi in semi-connected tropical waterways based on isotopic signatures. In 2009, in collaboration with the scientific publisher Inter-Research and a team of international scientists, I initiated a new, inter-disciplinary journal to publish research on the diverse interactions of aquaculture with the environment. Aquaculture Environment Interactions will publish scientific results obtained in this increasingly vital field, foster the sharing of information among scientists, the aquaculture industry and environmental managers, and contribute to improving the long-term sustainability of aquaculture activities.